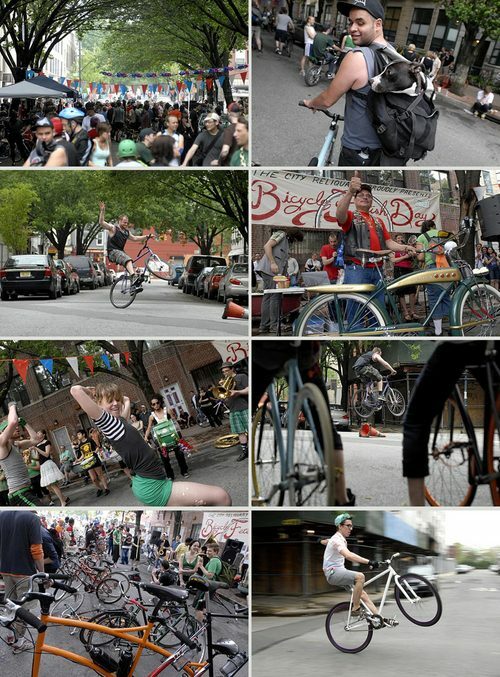 Last Saturday brought around the 5th Annual Bicycle Fetish Day. It was a lovely day, beautiful weather, great people, pretty bikes and a lot of fun. I didn’t have my camera because on days like that, I like to travel light. Luckily Mike Short, aka Shortonbrains took some great pics. Check out the choice ones above and more on his Flickr stream!